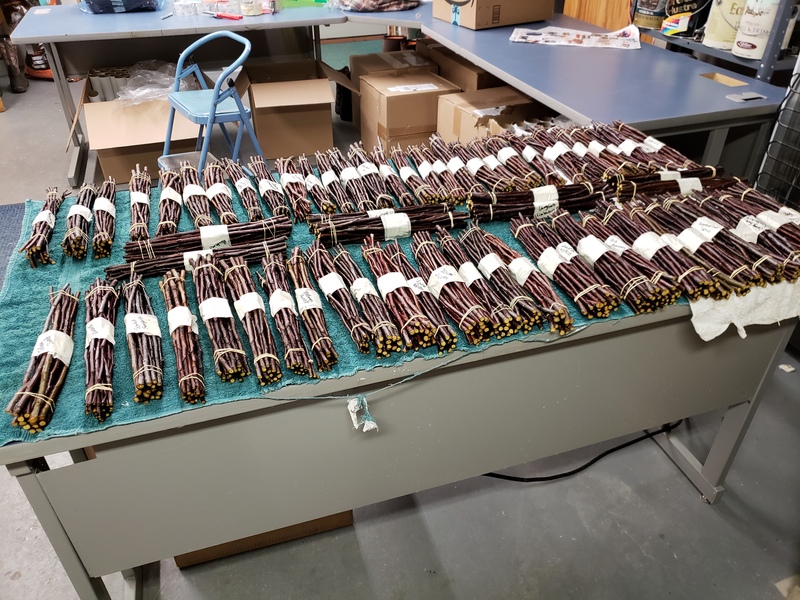 Our customers from California are calling Maple Valley Orchards asking when we’re going to ship their heirloom apple scionwood so they can start grafting. 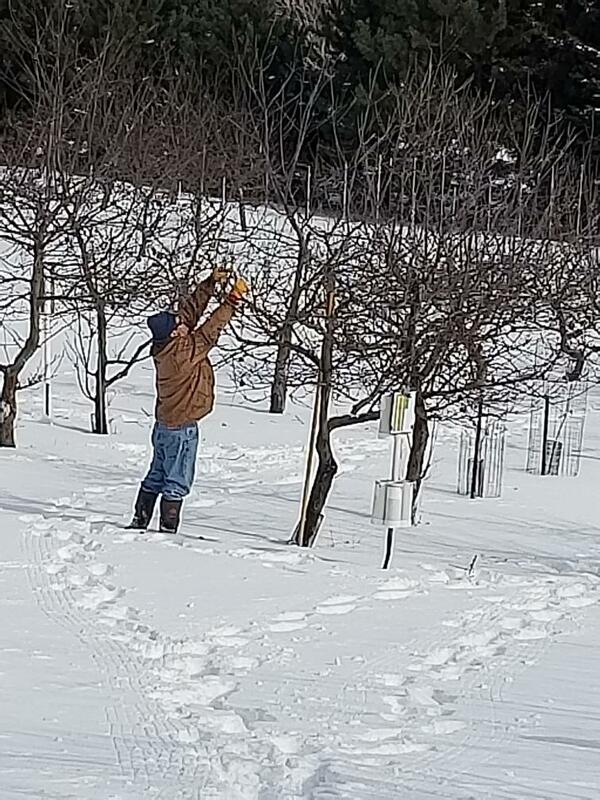 In Wisconsin, we’re dreaming of spring weather when we can graft. Unfortunately, the Wisconsin Winter is NOT over. Yesterday, our day started out 14 degrees below zero. Today, we were faced with a steady dose of heavy snow. Well, let it be said that neither sub-zero weather nor heavy snow stops Karen and I from cutting scionwood. The good news is that we finished cutting scionwood at the Suamico orchard today. 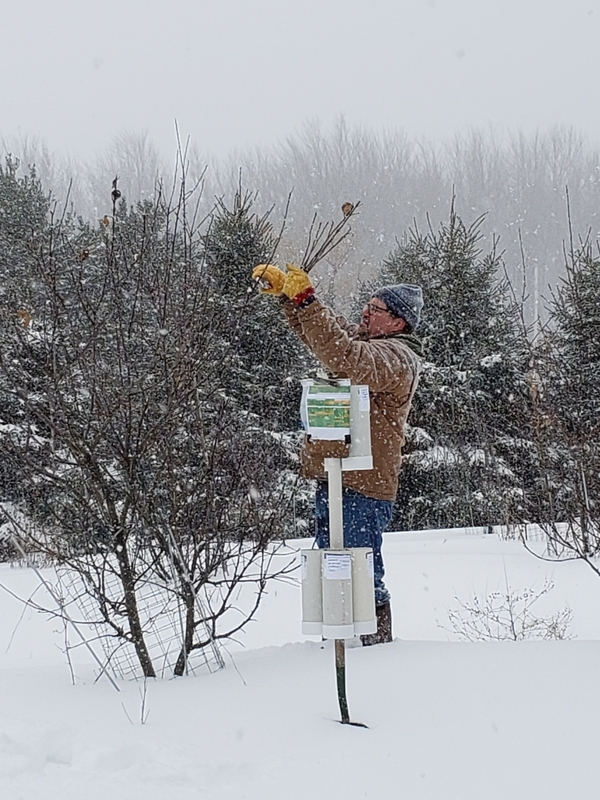 With the Suamico and Spirit orchards harvested, that leaves about 60% of the Gillett orchard left to be harvested. Hopefully, the weather improves so that we can knock that out by the end of next weekend. In the meantime, we’ll be California dreaming about warmer weather and grafting new heirloom apple trees.